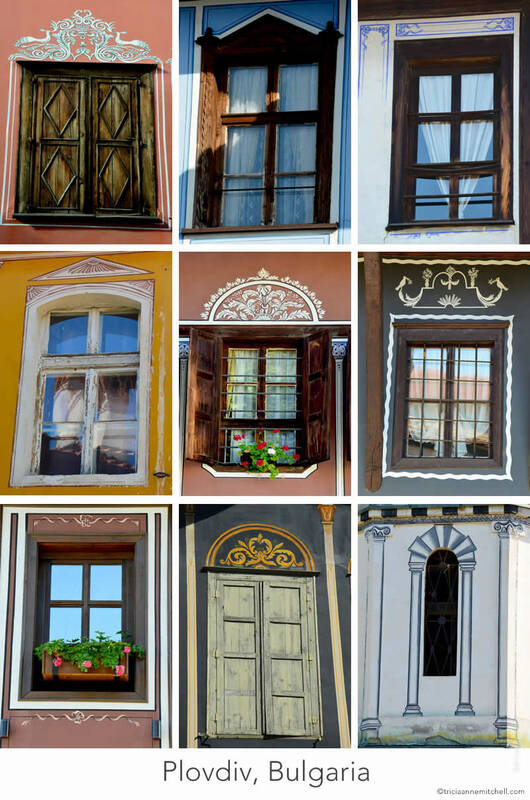 Along Plovdiv’s winding, cobblestone lanes you’ll encounter fine, jewel-toned homes epitomizing Bulgaria’s National Revival architectural style. These mansions are decorated with stained-wooden shutters and trim. 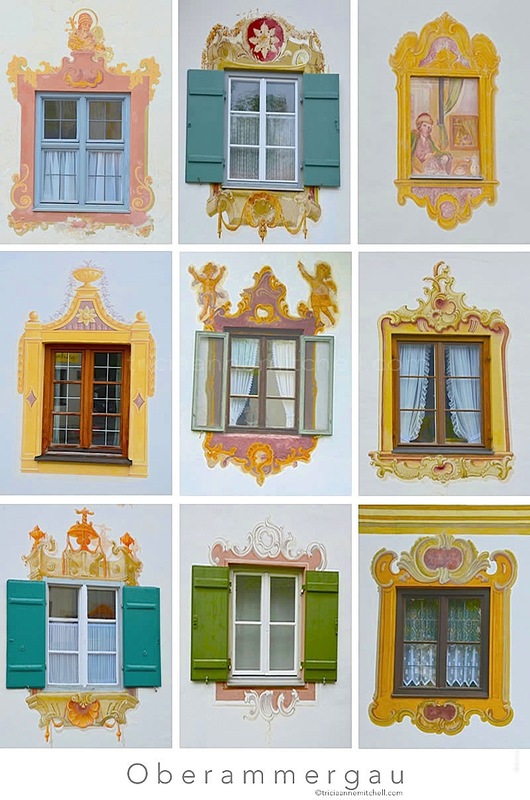 The buildings are also embellished with flourishes that depict peacocks, flowing ribbons, and flowers. 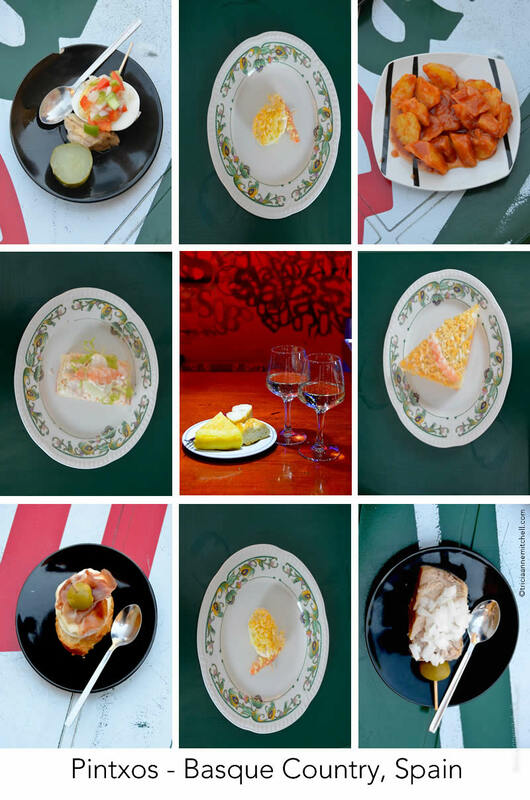 In Spain’s Basque Country, pintxos – a finger food similar to tapas, are ubiquitous fare in small bars. Pincho (the Spanish version of the name) or pintxos (Basque) means ‘spike’ and helps to distinguish this toothpick-adorned treat from its tapas cousins, which generally aren’t served with toothpicks. Go into a bar – especially in the late-afternoon hours – and you’ll see locals feasting upon pintxos after work, even making a progressive snack out of them, by moving from bar to bar. 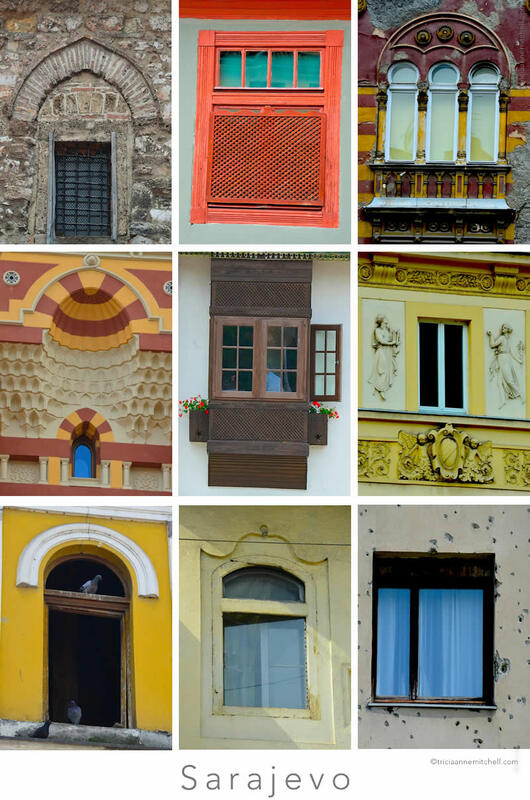 To wander Sarajevo’s streets is to journey through the centuries while diving into a grab bag of architectural styles. In the city’s well-known Baščaršija district, which feels like Istanbul in miniature, artisans craft Turkish-style copper coffee pots under towering minarets and mosques dating back to the 16th Century. Along the Miljacka River, the city’s Vijećnica building – originally the city’s National Library, which was destroyed during the Siege of Sarajevo in 1992, and is now the newly-restored City Hall – flashes intricate Moorish-style details in shrimp pink and creamy hues. 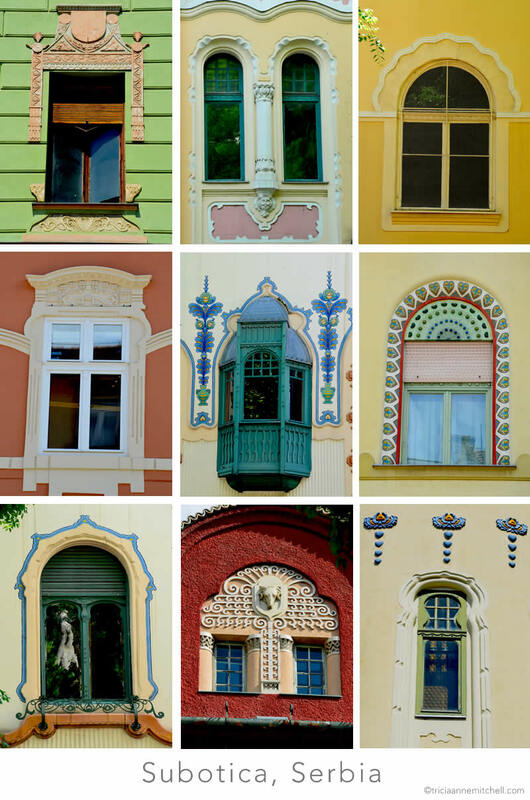 Situated in northern Serbia, the city of Subotica is like a treasure box overflowing with Art Nouveau gems. Most of the buildings were constructed in the early 20th Century, when Serbia and neighboring Hungary were part of the Austrian-Hungarian Empire. Designers incorporated whimsical details, colorful flourishes, and folk art into Subotica’s City Hall, Synagogue, private homes, and banks, evoking thoughts of Gaudí, fictional Dr. Seuss lands, and fanciful wedding cakes. Aside from their beautiful charm, what’s remarkable about the structures is that their ceramic work is still as brilliant today as it was one hundred years ago. When he was just 13 years old, Split jeweler Viktor Čivljak started learning the fine art of making filigree jewelry from his father, a second-generation jeweler. 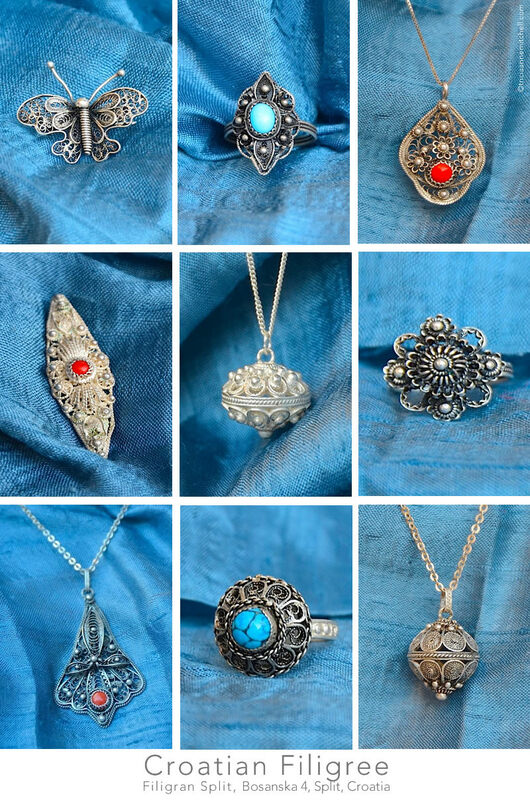 Today, the 73-year-old master jeweler incorporates breathtaking designs into entirely-handmade brooches, bracelets, earrings, hair pins, pendants and rings. Seemingly spun out of delicate silver thread, Viktor also creates cuff-links, decorative spoons for newborns, and souvenir spoons of Split bearing the city’s cathedral bell-tower. We recently had the great pleasure of spending the day with Viktor and his wife, Flora, watching as Viktor showed us the painstaking process of making one pair of stunning filigree earrings. Split, Croatia is the stuff of explorers’ dreams. 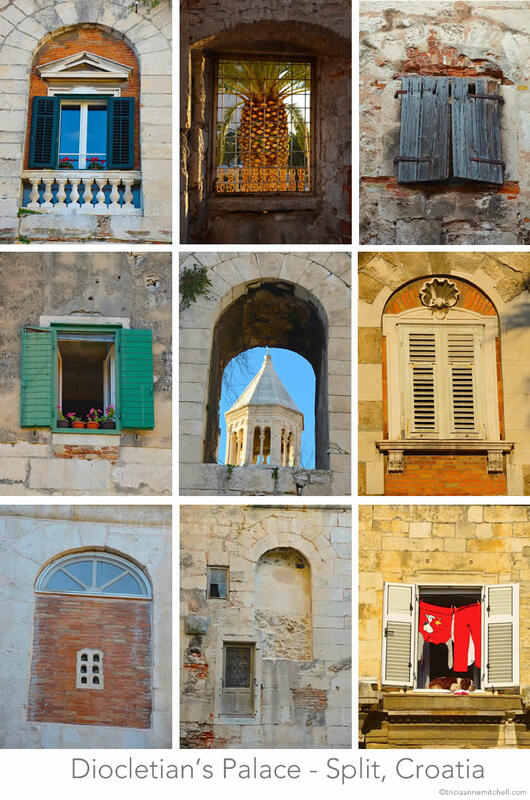 Situated along the sparkling Adriatic Sea and crowned by the Palace of Roman Emperor Diocletian, its Old Town features maze-like passageways and weathered limestone buildings and lanes. In the Fourth Century AD, Roman Emperor Diocletian had his retirement palace built here. Emperor Diocletian indeed recognized the good life. In 305 CE, he stepped away from the throne, opting to retire along the Dalmatian Coast in what was then known as Spalatum. He is the only Roman emperor to voluntarily resign. Roman senators would later approach Diocletian and ask him to return to public office. Diocletian, enamored with life in his seaside palace, refused to do so and remained in Spalatum until his death at the age of 66.